One of my favorite home decors is a ladder. I know, a ladder! It’s a versatile home accessory that you can style in every imaginable way. 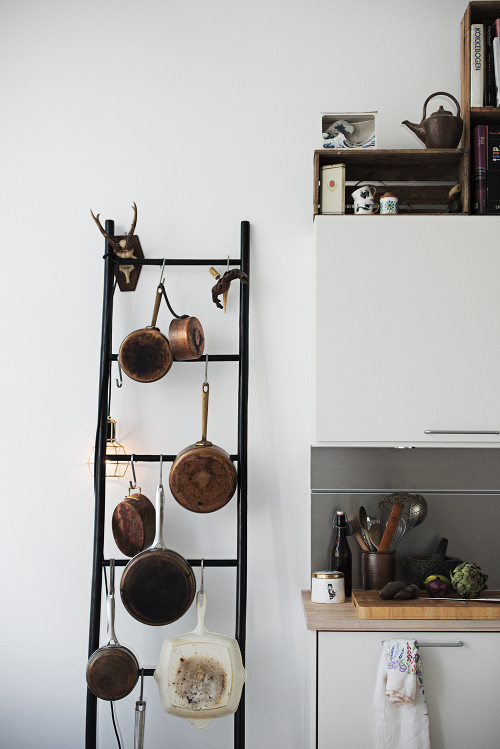 It does not matter if you have a shiny new ladder or a weathered one salvaged from a second-hand shop. 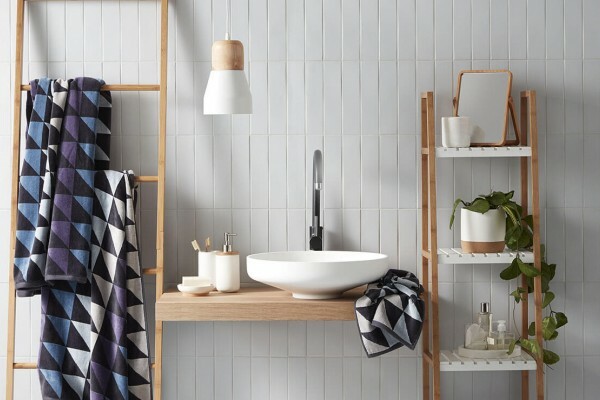 You can use the ladder in the bathroom, the bedroom, even the kitchen and we’ll show you how! 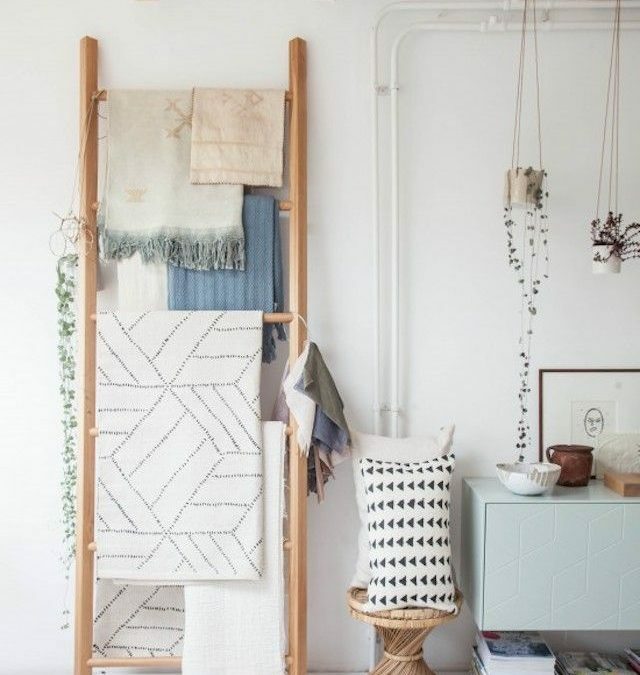 Here some of the best ways to decorate a small apartment with a leaning ladder. A leaning ladder will come handy in the kitchen and I guarantee you, it’ll make your prep area even more efficient! 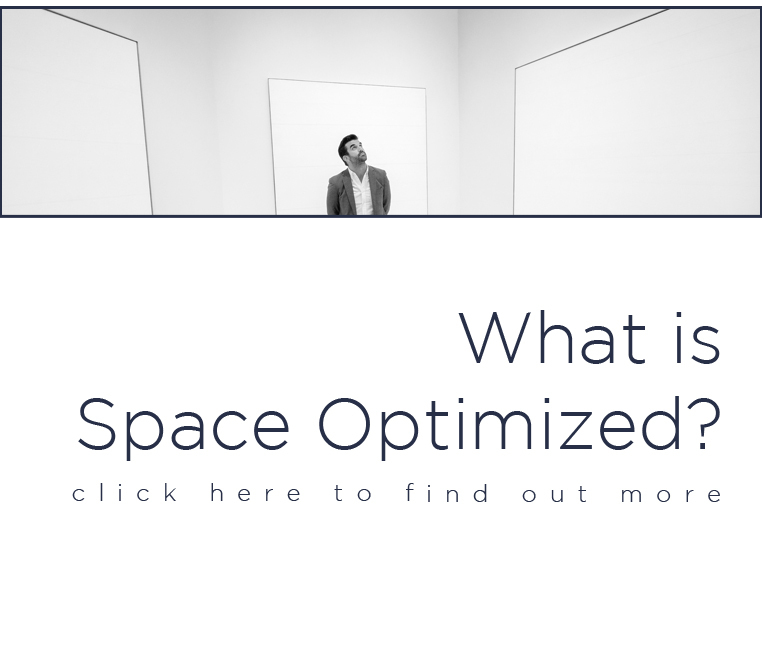 If you have a blank wall space to spare, ideally near the sink or the counter where you prep your meals, lean the ladder against the wall. Then, hang several S-hooks and you’ve got yourself an awesome new kitchen organizer! Hang pots and pans or your favorite kitchen tools so they’re always on hand when you need them! You can also use the ladder to hang linens or towels to dry! 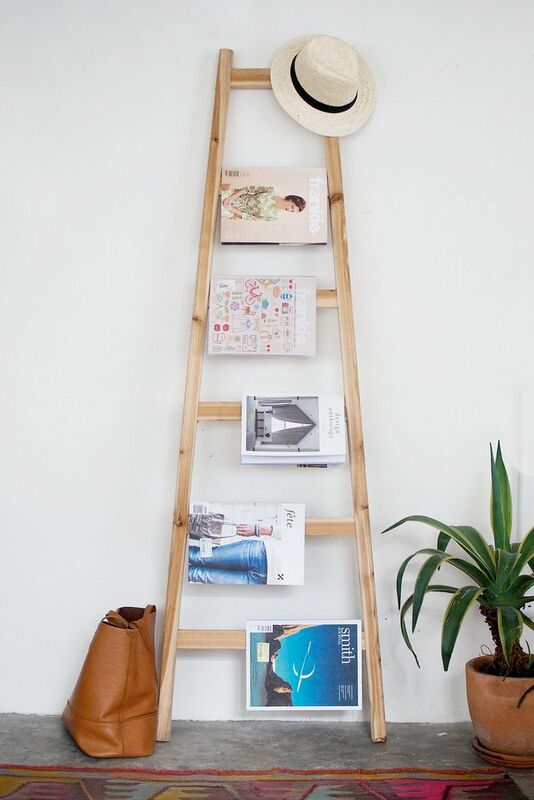 If you’re looking for a skinny living room décor that could hold your favorite reads in the most stylish way, try the ladder. Again, lean it against a blank wall and start hanging your living room magazines. I highly suggest setting the ladder near the couch or a chair so you can chill while reading. You can either add a floor lamp to the setup or install a decorative lamp by clamping it on the ladder to complete your impromptu reading nook! 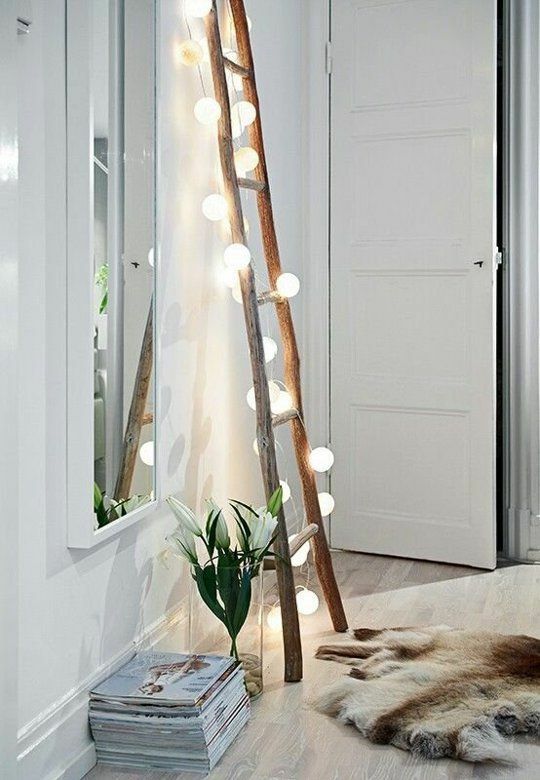 Add a warm glow to the bedroom by hanging decorative string lights on a leaning ladder. There’s nothing to it, just lean the ladder on a wall near your sleeping space, hang the string lights and you’re done! This small apartment décor idea takes only a few minutes to complete but it will warm your boudoir right up! What’s more, you can also set this up in the living room, giving your lounging area an inviting, rustic look. 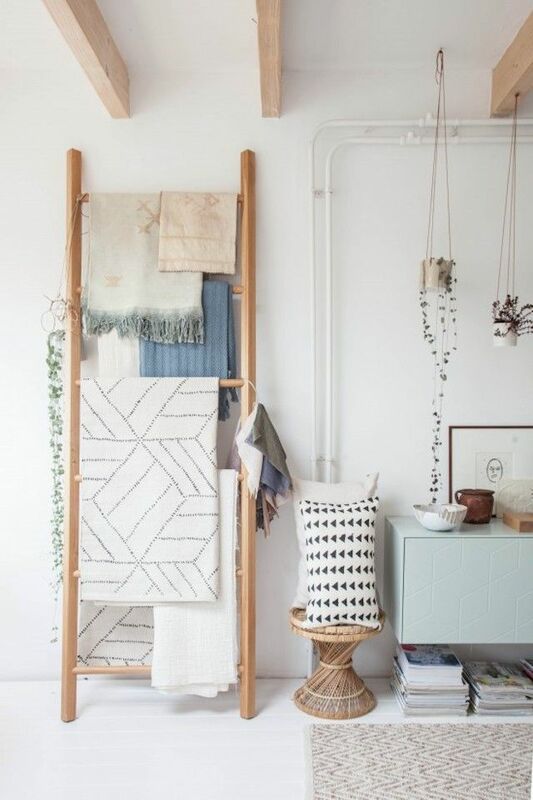 If you’re like me who loves snuggling up in a blanket, try this trick: use a leaning ladder to organize your blankets or throws. This small apartment idea can be used in the bedroom or the living room. With this style idea, your blankets are always organized and neat, not strewn all over the place. Best of all, this tip puts your graphic throws on display! This small apartment idea can be used in the bedroom or the living room. 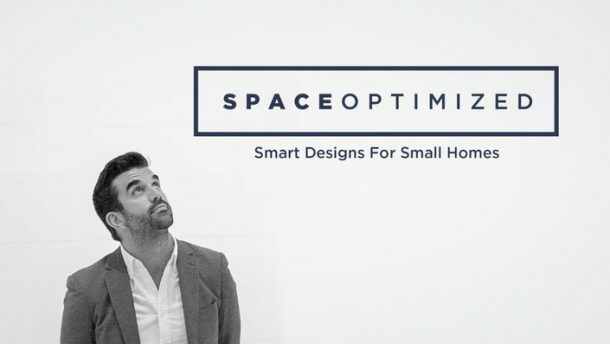 Living in a small apartment means dealing with limited storage space. This goes especially for the bathroom. If your small bathroom has little room to spare for a cabinet, you can use a leaning ladder to store your towels, bathrobes, and linens. I highly suggest setting the ladder on a spot that gets a lot of air circulation to air-dry your damp towels quickly. A variation of this idea involves installing wire baskets to the leaning ladder for more storage space! Just buy several wire baskets with back hooks from your local hardware store, hang each basket to the ladder and you’re done. Something for the mudroom or entryway! If your entryway is too tiny for a standard-sized shoe organizer, you can use a leaning ladder to store your high heels and sneakers. 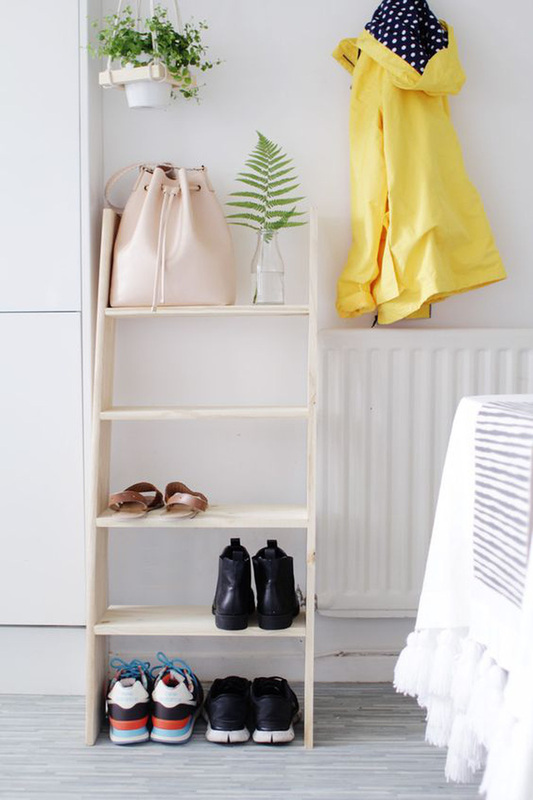 Pop the ladder against the wall, arrange your shoes, and voila, you have a new shoe rack. You can also add several S-hooks on the first two steps so you can hang your hats, bags, gloves, etc. Finish up by stowing a rustic bin under the ladder for more storage space. Add a pop of color and texture to the living room by decorating with plants! You can use a leaning ladder to put your beautiful hanging houseplants on display. 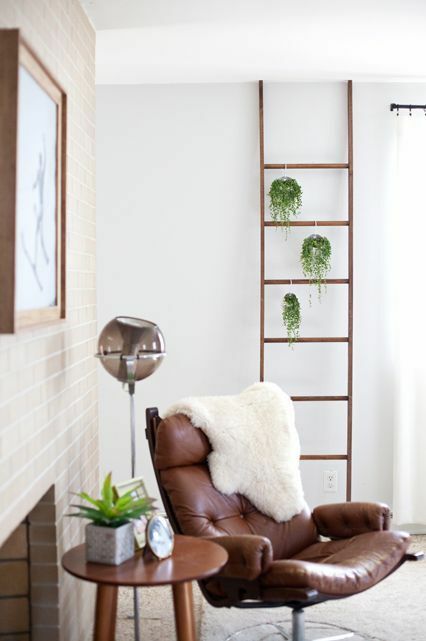 Just transfer houseplants in hanging planters and use S-hooks to hang the planters on the ladder. This trick works well in the living room but you can also try it in the kitchen. It’s a great trick if you have zero counter space for your potted herbs!